Choosing a Forced Induction kit for your car can be a difficult process. With so many different options now available to boost Naturally Aspirated cars, and so many different suppliers all claiming to have the best product, filtering the facts from the marketing spin can be a tricky process. Most of us would agree that part of the reward comes from doing the research yourself, so rather than just compiling a list of recommended power kits, I’ve decided to write a definitive guide to boosting your car in the hope it will empower you to ask the right questions, and make well informed decisions about the path to take with your project. If this sounds like something that’s of interest to you, read on…. The numbers game. What’s it all mean? Before we begin our discussion on the ins and outs of boosting your car, lets get some of the basics out of the way, and dispel one of the most common misconceptions in the power kit and tuning industry. If you’ve been looking at a few power kits already, you’ve more than likely been comparing the peak horsepower or kilowatt figures to try and figure out which kit gives the best results. That’s OK, but it’s far from the full story. These power figures are measured on a Dynomometer (or Dyno for short). A Dyno’s primary purpose is as a tuning and diagnositcs tool. One of the ways it provides diagnostic information to a tuner is by providing power and torque data throughout the rev range. This data can then be plotted on a graph to show exactly whereabouts in the rev range the car is making power and torque. Manufacturers take these peak power and torque figures from the graph and quote them in their marketing materials. But this isn’t the full story. It’s actually torque that gives you that “thrown back in your seat” feeling when you step on the go pedal, and whereabouts in the rev range the car produces maximum torque is vitally important in determining how the car will drive. Most importantly, it’s important to realise that there are different types of dynos out there, and even when comparing two physically identical dynos, the calibration can be different. So really comparing peak power and torque results from two different dynos is a pretty pointless exercise. What’s the difference between Torque and Power? Power determines how fast a vehicle can travel, torque determines how quickly that speed can be reached. Power determines how fast a vehicle can travel, torque determines how quickly that speed can be reached. The simplest way to understand torque is to think of it like leverage. The more leverage you have, the more torque you are applying. You can try this yourself by loosening a wheel nut. Try to loosen the nut by pulling on the spanner at the same end as the nut (very little leverage/torque) and you’ll struggle to loosen it. Pull on the spanner at the end of its shaft (maximum leverage/torque) and you’ll loosen it with ease. Power (kilowatts or horsepower) = the amount of torque at the wheels multiplied by speed. (This can be represented as either engine RPM, or wheel rotational speed). So which is more important? This depends on your driving style. If you’re running a ‘torquey’ engine (that is to say, a car with lots of torque across the rev range), you’ll find that you don’t need to down-shift quite so often when accelerating from lower speeds – this is because more torque gives you more available access to power. If your engine has a low amount of torque, you’ll have to change down a gear more often to explore the rev range to unleash the engine’s power. If you want that coveted V8 feeling of just putting your foot down and blasting off from low RPM, plenty of torque throughout the rev range is what you’re really looking for. In Summary: Lots of torque throughout the rev range makes a car feel fast to drive on the street. Be sure to always look at a dyno graph where available so you can see whereabouts in the rev range the power and torque are being made, then think about your driving style and how the power/torque curves compliment it. To Turbo, or to Supercharge? As you can see in the video, a turbo set-up is quite complex, and a lot of engineering goes in to both the turbo itself, and its application to ensure the turbo matches the characteristics of the engine it’s being used to boost. Choosing a turbo: Driving Style: You’ve probably heard of Turbo Lag. Turbo lag refers to the delay between you putting your foot down, and the turbo “spooling up” to generate boost. For street use, the aim is typically to have the turbo generating maximum desired boost pressure as low down in the rev range as possible, and hold that pressure all the way to the maximum achievable RPM of the engine. To a point, the more boost you intend to run, the bigger the turbo that is required. A bigger turbo will inherently take longer to spool up, so this becomes a balance between maximum amount of power, and making usable power across the rev range. You’ll often see cars with massive turbos making massive peak power and torque figures on the dyno, but the catch is they often aren’t making their power until high RPMs, so they can actually feel quite sluggish and unbalanced to drive on the street. Below are some example dyno graphs showing different turbo configurations. First we’ll look at a turbo setup making large amounts of power and torque, but not until higher up in the rev range…. In the above example, you can see the car makes massive amounts of power and torque, but it’s all isolated to quite high up in the rev range due to the large turbo requiring more exhaust flow to spool up to maximum boost. This means the car will feel relatively sluggish to drive around town at low RPM compared to if you were to drive it at high RPM. This is ideal for a racecar that will always be driven at high RPM, but less than ideal for your average street car. Next lets take a look at the same type of car with a smaller turbo…. The car in the above example is making a little bit more than half the power and torque of the first example, however if you look closely, you can see that at low RPM, the power and torque is actually very similar to the car in the first example due to the smaller turbo spooling up more quickly. Obviously the car in the first example is a lot faster, but you can see how there’s a lot more to it than just peak power and torque. The 2nd car would be quite predictable to drive as the power increases in a relatively linear fashion as the revs increase, as the torque remains quite stable from 3200RPM to 5500RPM. Compare this to the first example with the massive surge in power from 4000 to 5000RPM and you can imagine how scary that car would be to drive! Visualize what it would be like to downshift from 5th gear at low RPM to 3rd gear at High RPM in both cars. This is where it’s very important to speak with your chosen workshop and tuner to ensure the turbo set-up you’re looking at is suitable for your needs beyond just peak torque and power figures. No parasitic load on the engine (more on this later). Boost pressure can be maintained across the majority of the rev range when an appropriate turbo is selected. Boost can be controlled electronically or mechanically via the ECU or a stand-alone boost controller, allowing for varying power and torque on the fly. This means you can run multiple engine maps with different boost levels, or even adjust boost output dependant on the gear the car is in, etc. Car may actually be slightly slower than stock at low RPM until the turbo spools up. OK so now we understand how a turbo works and its advantages and pitfalls, lets take a look at superchargers. There’s three different types of supercharger on the market, and they work in slightly different ways, however the concept is similar. Basically they perform the same task as a turbo, but rather than being driven by exhaust gasses spinning a turbine, they are driven by a belt connected to the engine. Because they are driven off the engine, they place what’s know as a parasitic load on the engine. This means the engine has to work a little bit harder to generate the same amount of power as it would without the supercharger present. The difference is similar to the power difference you feel when you turn on the air conditioning in your car. The Roots Type Supercharger is the first style supercharger that was ever used and can be dated back to the 1880s when the Roots brothers designed it as an air conveyor for mine shafts. Roots blowers act like air pumps (not compressors), and in general, Roots blowers have a two or three lobe rotor design, depending on the size of the case. Roots blowers generate positive pressure from just a crack of the throttle, and will give all that they have to offer at full throttle regardless of RPM. This is because even though they are spinning slower at low engine RPM, the engine is consuming proportionally less air due to RPMs. The disadvantage of a roots style supercharger is that it places a hefty parasitic load on the engine due to its size and weight, meaning the engine has to work quite a bit harder to generate the same amount of power to the wheels, and it generates a lot of heat, which reduces air density and therefore power. 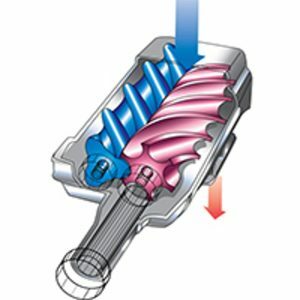 Twin Screw Type Superchargers are derived from the Roots type concept but with vast improvements for street use. Although from the out side, screw type superchargers may look a lot like Roots type superchargers, on the inside you will find a twin-screw design that compresses air unlike Roots type superchargers which pump the air into the motor. 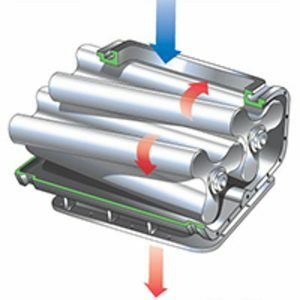 Screw type superchargers have an axial-flow design that compresses the air as it moves between the screws to create positive pressure whilst creating less heat than a Roots type supercharger. The Screw type supercharger’s ability to produce a dramatic increase of power from idle and through out the rest of the power curve make them a great choice for heavy vehicles, towing or commercial use. However this can also mean throttle response is overly aggressive at low RPM, although this can typically be tuned around with modern electronic throttle systems. Another disadvantage is that like roots systems, screw type superchargers typically put much more parasitic load on the engine than a centrifugal supercharger, and intake charge temperatures are typically higher than with centrifugal supercharger, especially when compared with a centrifugal setup with a front mounted intercooler. They also can struggle to maintain boost pressure once the RPMs start to climb, further reinforcing the fact that they are better suited to applications where maximum bottom end torque is required like towing. So which is best? As with choosing an appropriate turbo, choosing the right type of supercharger comes down to your driving style and intended vehicle usage. All have advantages and disadvantages. If you want maximum low end torque for buzzing around town, and rarely rev the car out, then a screw type supercharger is probably a good choice for you. However if you prefer to have the car’s power increase in a linear fashion with RPM for a more balanced and predictable driving experience, then centrifugal is the best way to go. 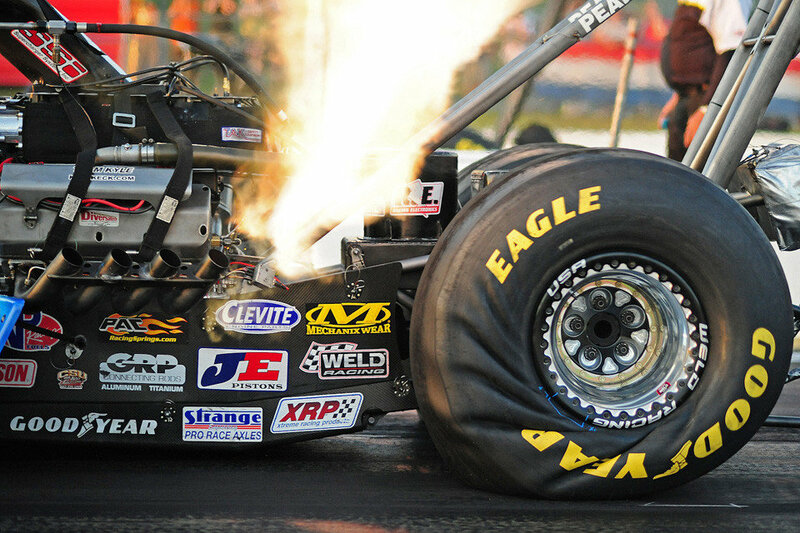 These days, roots style superchargers are typically only used in show and drag cars. Less complex than a turbo setup. No need for boost controllers, etc. No risk of overboost when correct size and pulley is selected. Signature supercharger whine lets people know your car means business. Typically generates torque lower in the rev range than a turbo setup. Generates less heat in the engine bay than a turbo setup. Places parasitic load on the engine (less with centrifugal). Centrifugal superchargers don’t make full boost until the maximum RPM. Throttle response can be twitchy at low RPM. Roots and Screw Type superchargers generally raise the intake charge temp significantly. Supercharger boost levels can not be controlled like a turbo. You have to change pulleys or add a bypass valve to vary the boost pressure. Hopefully with the above information under your belt, you have a pretty good idea about which type of setup will best suit your driving style. An appropriately matched turbo will provide maximum boost at relatively low RPM, and maintain boost all the way to the redline, giving you maximum usable torque and power across the rev range, at the expense of less power than a supercharger set-up at very low RPM. An appropriately matched centrifugal supercharger puts minimal parasitic load on the engine, is simple to install, and will increase the boost relative to RPM, meaning predictable and linear increases in power across the rev range. An appropriately matched Roots style supercharger gives maximum boost across the entire rev range, at the expense of high parasitic engine load and high intake charge temperatures. This means more boost is required to achieve the same power as a system with lower intake charge temperatures, and is more dangerous for the engine. An appropriately matched screw type supercharger gives excellent low RPM torque, but can cause issues with jerky throttle response (less of an issue with modern cars that use an electronic throttle), and can struggle to maintain boost at higher RPMs. Like Roots style superchargers, screw type superchargers also place a larger parasitic load on the engine than a centrifugal supercharger generating similar peak boost levels. Intake charge temperatures are also typically higher than with an intercooled centrifugal set-up. How much boost should I run? Perhaps the biggest question I see pop up in forums is “How much boost can I run safely in my car?” To be able to answer this, we need to understand what’s actually going on inside an engine when we add boost. A good way to visualise the induction system on a car is to imagine one of the cylinders of your engine as a water balloon, and the inlet manifold is a tap. Adding boost pressure is like increasing the water pressure inside the tap, the more pressure there is available, the faster the balloon will fill up when the tap is turned on. If the pressure inside the balloon exceeds a certain amount, the balloon will burst. If you’re filling up a water balloon with a high pressure hose, its very easy to have the water balloon explode in a short time period because it fills so quickly, but if you were to fill the same balloon up with a low pressure hose, you would have to leave the hose on for much longer to reach the same pressure. For the purpose of this visualisation, the same thing is happening inside your engine on every single revolution of the crank. Every time the inlet valve opens, pressurised air rushes in to the cylinder, the valve closes and the piston comes up, compressing the air even further (along with the fuel that’s been injected) before combustion occurs. Just like with our water balloon, the more pressure there is available, the faster the cylinder will reach the desired pressure. If the pressure is too high as the piston comes up to pressurise the air and fuel, that’s where problems occur (our balloon bursts). In reality it’s a lot more complicated than this as fluid dynamics are quite different from gas, and our cylinder isn’t elastic like a water balloon, but you get the idea. So you can see it’s not actually the pressure inside the manifold that has the potential to damage the engine, but rather the pressure inside the cylinder. Experienced tuners can adjust ignition and valve timing in order “tune around” excess boost (within limited scope of course). As an example, below is a dyno graph from my own car, which is fitted with a centrifugal supercharger running 12.5PSI. We know from experience that the safe limit for this particular motor is around 11PSI, so the timing is retarded above 7000RPM in order to limit the cylinder pressure and protect the engine. This is represented on the graph by the decrease in torque and power just before the redline, despite the boost still increasing. 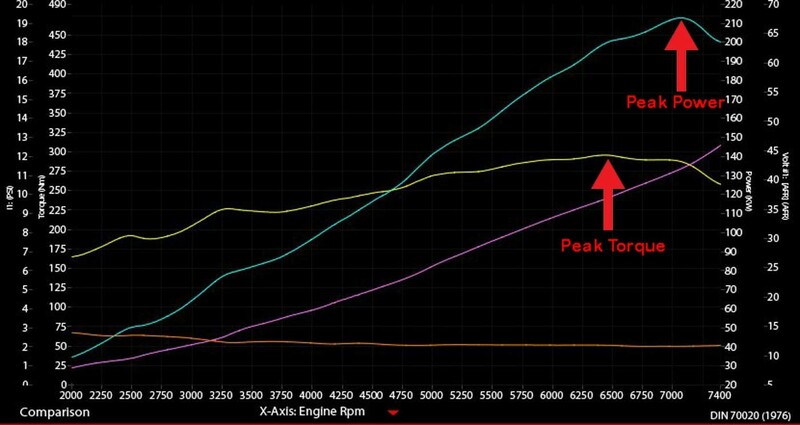 The dyno graph from my ProjectBRZ car, showing timing retarded above 11PSI boost to protect the high-compression FA20 engine. How much boost is safe for your engine depends on many factors which are beyond the scope of this article, but mostly related to the engine’s physical design. Most engines that come naturally aspirated from factory do not use forged internal components, and typically run at high compression ratios make power more efficiently. Because a lower compression ratio means more boost is required to achieve the same cylinder pressure, more boost will be required to make the same amount of power. We have seen examples where customers have lowered their compression ratio on an FA20 (BRZ/86 engine) from 12:1 to 10:1 in order to increase their boost from 12PSI to 18PSI, and ended up making the same power. Hopefully now you understand why this is the case. An experienced workshop and tuner will be able to determine what will be required to safely make the power you’re after, and the tuning community often sacrifice motors in order to test their limits, so it’s best to leave any guess work out of it. So how do we apply this to choosing an appropriate forced induction kit? As you now know, too small a turbo, and you’ll lose power at high RPMs. Too big a turbo and you’ll have lag, plus your tuner will end up having to either have the wastegate open to bleed off the extra boost once the turbo spools, or retard the timing to limit cylinder pressure, so you’re not getting the benefit of that big turbo you installed anyway. 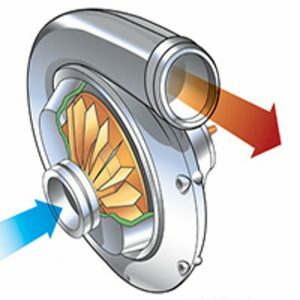 Generally speaking, the goal is to choose a turbo that will reach the maximum safe boost level for your engine as quickly as possible, without the need to retard timing to limit cylinder pressure. On a turbo set-up, the wastegate will take care of any excess pressure, so there’s no need to worry if your turbo is able to generate more than the required boost levels, as long as it spools up quickly. Superchargers are a little bit different as the pulley and supercharger size ultimately determines the boost generated at any given RPM. Some bespoke supercharger kits include a wastegate to allow the tuner to bleed off excess pressure, but you want to choose a supercharger which has a peak boost level that’s safe for your engine (or at least within the scope of being able to limit the cylinder pressure by adjusting timing) without the boost being too low at lower RPMs. I hope this article clears up some of the common misconceptions when it comes to boosting your NA car. Enjoy your project and remember, it never hurts to ask a professional if there’s anything you’re not sure about. It pays to get things right the first time! top Copyright Auto Power Booster 2018 - Mixtheme - All Rights Reserved.